Despite the mainstream media not helping us, the campaign was a roaring success. We accomplished our goal to make #GiladShalit a trending topic (within minutes of us launching the campaign). 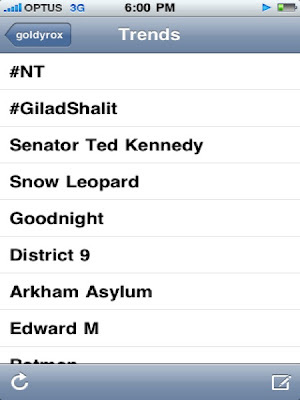 #GiladShalit remained a trending topic for nearly 24 hours. According to TweetStats, #GiladShalit was the 2nd most popular trend for the entire day (hope to have a screencap from them soon.) We raised awareness. We rallied support. We prayed. We had fun. We're still praying that Gilad is free soon. We want him to be reunited with his friends and his family. We're thankful for the Shalit family giving us their blessing to do this in Gilad's honor, and we are thankful for all the wonderful organizations and individuals that helped spread the word, but mostly we are thankful to Hashem, who has given us the tools and creativity to join together for a common cause and to raise awareness. 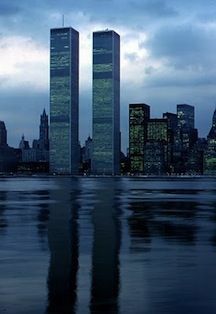 We continue to pray. We hope to continue to have the strength and the means to continue our campaigns for all that is good and that is right in this world. Thank you all. Free Gilad, and let us pray that his 23rd birthday will be a happy one. Thanks again to all that helped make it happen! JIDF campaigns for good causes in the near future!